With 2016 being AVAC’s 40th Anniversary, we’d like to take a moment to share the story of how it all began. . . Growing up in Coos Bay, Oregon, Jim Theiring and Joe Shank’s lives had been closely interwoven for more than 60 years. Both went their separate ways, but when Jim and Linda Theiring put their life savings down on a San Jose walnut grove, they called on Joe to help complete the dream of a swim school. Joe was also filled with ideas. A tennis buff, he wondered if they could buy the vineyard next to the property and build tennis courts too. This was in 1974, two years before the doors opened in June 1976. While Theiring’s area of expertise was construction, Shank handled the nuts and bolts of producing a partnership agreement, preparing a prospectus, and pounding the pavement to generate the funds. The list of potential investors included high school coaches, some physicians, plus any and all referrals Joe received. A trailer was moved to the lot at Camden and Kooser to pre-sell memberships. Within 18 months, Joe raised $1.2 million, and pre-sold more than 500 memberships. When they broke ground, Joe had accumulated 35 Limited Partners and a commitment of $550,000 from Mercury Savings and Loan. Adjacent to the walnut orchard where the clubhouse stands now, they purchased the land on a contract of sale and set up a separate partnership to build tennis courts. 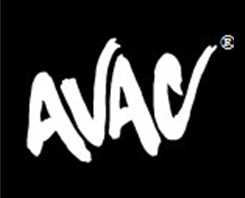 From day one, AVAC® has had the best and most up-to-date facilities, equipment, and staff. It hasn’t been easy, as the industry has gone through many paradigm shifts. Each year, managers and staff attend trade shows and seminars to network with other fitness experts and industry leaders. New equipment arrives frequently and the fitness staff is consistently offering up-to-date expertise and techniques. 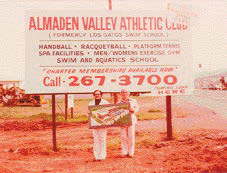 In the 80s, AVAC® was tapped to hold the Boys and Girls 16s National Junior Championships, followed by the Girls’ 18-and-under National Championships — a tradition that continued every year until 2007. Many of the world’s future tennis champions have played here. Pete Sampras, Andre Agassi, Lindsey Davenport, Jim Courier, Michael Chang. AVAC® boasts the most ‘senior’ of Senior Wellness programs in the South Bay. Pilates is now an important aspect of AVAC, too. In 2002, more than 100 personal trainers from all over Northern California came through our STOTT PILATES® certification program. In 2004, the program grew to four locations and trained more than 230 instructors. The AVAC Swim School®, one of the largest indoor, all-year swim school facilities in the United States, was completed in fall of 2001. More than 3000 children are taught to swim each week; 15,000 each year. Equipment may change. Fitness fads may come and go. But Jim and Joe’s dream of a special place where families can experience the joy of health and fitness together, remains as constant as ever. “Thanks to our incredible members – a wonderful group of loyal, flexible, hearty and discriminating people who have come through our doors. We wouldn’t be AVAC® without them,” says Joe.